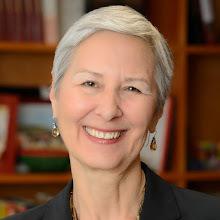 This guest post is by Yanning Chen, PhD candidate at Johns Hopkins SAIS. This article first appeared on Agenda for International Development (www.a-id.org) on October 12, 2017. Sub-Saharan Africa is undoubtedly the most important frontier for climate change mitigation and adaptation. More than 620 million people, two-thirds of the population, lack access to electricity. 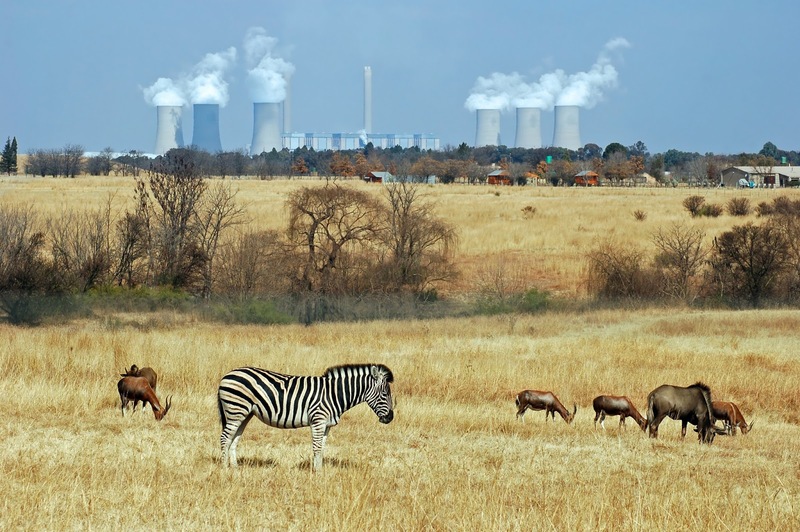 Electrifying sub-Saharan Africa using existing energy mix jeopardizes the goal of limiting warming below two degrees Celsius above pre-industrial levels reiterated in the Paris Agreement. Finding a low carbon path for sub-Saharan Africa requires significant investment and cooperation in renewable energy, including wind, solar, hydro, geothermal, nuclear, and biofuels. Wind power stands out among renewable energy options in the region for three reasons. First, sub-Saharan Africa has abundant wind potential, especially in highlands of Chad and Ethiopia and coastal regions. McKinsey estimate puts onshore wind capacity at 109 GW. Secondly, wind farms are less controversial and more quickly to build. Hydropower dams are costly and pose irreparable dangers to the local geography and communities. Solar farms take up large parcels of land and require regular cleansing. Once wind farms are operational, they do not disturb nearby farming and grazing activities. Thirdly, price of wind technology has declined drastically in the past decade. Comparison of levelized cost of electricity (LCOE) by Lazard, an international financial advisory and asset management firm, shows wind is one of the cheapest renewables and comparable to coal. However, it is worth noting that LCOE does not account for technology transfer costs, adapting the grid, regional variations, cost of capital, and other risks associated with launching new technologies in sub-Saharan Africa. Currently, sub-Saharan Africa accounts for less than 1% of global installed wind power capacity. Despite its small presence, wind development in the region expanded exponentially in the past decade, with introduction of new actors, financing mechanisms and institutional arrangements. Case studies of wind farm development in Ethiopia, Kenya and South Africa seek to illustrate the robust wind financing landscape in sub-Saharan Africa. Ethiopia currently has two wind farms in operation—Ashegoda Wind Farm and Adama Wind Farm. Both wind projects were supported through its Growth and Transformation Plan (GTP), a five-year plan setting targets for the entire economy. In 2008, Ethiopian Electric Power Corp. (EEPCo), the then national utility company, signed an ECP (Engineering, Procurement and Construction) contract with Vergnet of France to development a 120MW wind farm at Ashegoda. French Development Bank (AFD) and BP Paribas financed 90% of the $289.7 million project through a mixture of commercial and concessional loans, with the Ethiopian Government covering the remainder. Ashegoda Wind Farm was inaugurated in 2013. In 2009, HydroChina and CGC Overseas Construction Group (CGCOC) signed an EPC contract with EEPCo to develop a 51 MW wind farm at Adama. It was the first Chinese overseas EPC project in clean energy. Export-Import Bank of China financed 85% of the $117 million project through the preferential export buyer’s credit. Following completion of the first phase, EEPCo added 153 MW to Adama Wind Farm under the same financing framework. Adama Wind Farm II inaugurated in 2015. Both Ashegoda and Adama Wind projects adopted concessional financing from single donor to mitigate institutional uncertainty and promote domestic industry overseas. In Ethiopia’s case, the government has no experience and no regulatory support for wind farm development. Thus companies treading into uncharted waters rely on national development agencies to safeguard through extensive negotiation and challenges. Single donor concessional financing model offer them maximum flexibility. Kenya officially liberalized its electricity generation sector through power sector reform in 1996, allowing IPPs to own and operate energy projects along national generation company. Long tradition of IPPs has enabled creative financing packages to support wind energy. In addition to IPPs, Kenya supports wind energy through feed-in tariffs. Kipeto Wind Farm is a $323 million project to add 100 MW wind capacity in Kenya. Owned by a joint venture between African Infrastructure Investment Fund, International Financial Corporation (IFC) and Craftskills Wind Energy International, the project is part of U.S. Power Africa Initiative, which seeks to double access to electricity in sub-Saharan Africa. Under the Initiative, Overseas Private Investment Corporation (OPIC), the U.S. government’s development finance institution, has committed a $232 million loan. China Machinery Engineering Co is the EPC contractor with turbines as well as operation and maintenance (O&M) provided by General Electric. Valued at over $800 million, Lake Turkana Wind Farm project is the largest private investment in Kenyan history, as well as the largest wind farm in Africa at 310MW capacity. Developers for Lake Turkana Wind Farm are KP&P Africa B.V and Aldwych International. Other equity partners involve three Nordic investment funds –Finnfund, Nofund and the Danish Investment Fund for Developing Countries (IFU). African Development Bank (AfDB), with the Standard Bank of South Africa and Nedbank as co-arrangers, arranged debt financing. Most notably, $128 million of the loan came from AfDB’s own Green Bond program, which finances a portfolio of eligible Greenfield renewable energy projects. Fourteen financial institutions, including European Investment Bank, Netherlands Development Finance Company, PTA Bank, Danish export credit agency (EKF) and others, collectively provided over $600 million in loans to the project. In addition to private investors, public institutions, such as Government of the Netherlands and EU Africa Infrastructure Trust fund, were also crucial in providing grants and loan guarantees. The wind farm came online in July 2017. Due to its innovative public-private partnership financing structure, the Lake Turkana Wind Farm project was nominated as the “African Renewable Deal of the Year”. Despite South Africa’s vast wind potential along its coastal regions, abundant coal resources in the country had slowed development of wind power. South African government introduced renewable energy feed-in-tariffs (REFIT) in 2009. However, the government replaced REFIT with the Renewable Energy Independent Power Producer Procurement Program (REIPPP) in 2011, a competitive tender process for renewable energy projects. REIPPP has been lauded for its transparency and effectiveness. Between 2011 and 2015, there have been five rounds of bidding with a total of 92 IPPs awarded, accounting for 6327MW of renewable capacity. Of which, thirty-seven are wind farm projects, accounting for 2660MW of wind capacity. Financing for wind projects in South Africa come from a variety of sources. To highlight a few, Sere 100MW wind farm received a $365 million loan from AfDB and the Clean Technology Fund, a climate investment fund to facilitate technology transfer; Enel Green Power, developer for 111MW Gibson Bay Wind Farm, obtained a $170million loan from German Development Bank (KfW); a joint venture between South African developer Exxaro Resources and Tata Enterprise, financed the Amakhala Emoyeni Wind Farm through a debt/equity ratio of 80/20, with $323.8 million loan from IFC ($72million) and Standard Bank of South Africa ($256million). In fact, one report notes that Standard Bank of South Africa has financed 40% of 1760MW renewable energy capacity operational in South Africa in 2015. The growth of South Africa’s renewable energy program, as well as local financing capability is truly awe-inspiring. Wind farm financing and development across Ethiopia, Kenya and South Africa demonstrate large variance. However, several trends emerge. Financing for wind power indicates a variety of options and sources, ranging from traditional western/OECD donors to emerging markets; multilateral development banks to local banks; Clean Development Mechanism to Green Bond. Adoption/availability of these various financing mechanisms responds to local institutional and regulatory environment. In Ethiopia, lack of regulatory and institutional support limit financing option to single donor, whereas in Kenya, tradition of IPPs enable innovative financing structure; however, lack of institutional support limits the number of wind project opportunities. Finally, in South Africa, competitive, transparent and regular IPP tendering process has allowed private investors to flourish. Despite significant progress in wind energy development and financing in sub-Saharan Africa, there is under-utilization of new climate financing mechanisms, such as Clean Development Mechanism (CDM), Green Climate Fund and the China South-South Climate Cooperation Fund. At the moment, some sub-Saharan countries find CDM cost-ineffective to register. In addition, CDM does not account for mitigation from emerging market investors. Sustainable development mechanism, CDM’s post-2020 successor, should address these issues. Development and financing for wind energy in Sub-Saharan Africa has traditionally relied heavily on the public sector with greater involvement from the private sector in recent years. Facing the double-threat of climate change and energy poverty, public financing will be grossly insufficient. Scaling up private sector wind energy finance is crucial in limiting global warming to two degrees Celsius, as well as meeting Sustainable Development Goal of ensuring universal access to affordable, reliable and modern energy. What is China’s role in the downfall of Robert Mugabe? As Zimbabwe’s major investor and provider of development finance, China has considerable interests in the country’s stability. Yet it is highly unlikely that there was any official Chinese involvement in Robert Mugabe's resignation and the end of his 37 years in power. Beijing would have little to gain and much to lose from becoming directly involved. Why is this the case? And how is Mugabe's resignation likely to affect China-Zimbabwe relations going forward? First, Chinese leaders have a long-term mindset and China’s domestic politics is always foremost in that mindset. Direct involvement in even an informal coup would break very long-standing principles that are part of China’s core foreign policy — and it would signal that “interference in the internal affairs of other countries” is acceptable. Beijing does not want, in any way, to promote this idea. It is far more likely that they sat back and waited for Mugabe’s endgame to be played out by Zimbabweans -- which is what appears to have happened. And then they would move smoothly to befriend the official winner. This is what happened, for example, in Zambia when Michael Sata, an outspoken critic of Chinese investment, was elected as president in 2011. 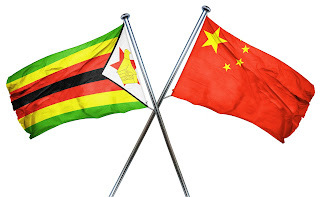 Second, even though many consider Zimbabwe a "client state" of China, Zimbabwe in fact receives relatively little official finance from China's two policy banks, the China Export-Import Bank (Eximbank) or the China Development Bank (CDB). Zimbabwe was one of the first countries in Africa to receive China Eximbank policy loans in the late 1990s, but the country defaulted on these early loans, and Eximbank had to turn to Sinosure (China's export credit insurance corporation) for reimbursements. As a result, both policy banks have been reluctant to lend more in subsequent years, despite repeated requests. Zimbabwe does not even rank in the top 10 of Chinese loan recipients in Africa in terms of aggregate loans received from China between 2000 and 2015. Third, unlike Angola, which is of strategic value to China -- 12% of China's crude oil imports in 2016 are from Angola -- China does not rely on any sort of Zimbabwean exports of anything. As a result, instability in Zimbabwe, political or otherwise, is of much less concern to China than instability in Angola. China was willing to renegotiate the loan terms with Angola in mid-2015 when low oil prices made repayment difficult for Angola, even issuing more credit lines to float their economy. In contrast, when Zimbabwe failed to repay their loans, China simply reduced lending to a trickle. Finally, China (CCP) and Zimbabwe (Zanu-PF) do have strong party-to-party ties, and military engagement is also cozy. It is not clear whether this is a strategic coordinated partnership directed by Beijing. Some evidence suggests this, in particular the state visit by President Xi Jinping in late 2015, the Zimbabwe involvement of Norinco, a centrally run military corporation, and the relatively high proportion of military-related loans over the past 15 years in the existing portfolio. Most of the loans for military equipment (mainly aircraft) were taken out around a decade ago and appear to be suppliers' credits rather than Eximbank or CDB loans. On the other hand, a concessional Eximbank loan of $98 million did help finance the construction of Zimbabwe's National Defense College. We wrote about this in a post in 2011. This loan is an interesting example of central support (Eximbank) for a business initiative organized by a Chinese province: Anhui. This loan was secured by profits from a joint-venture in diamond mining between an Anhui company and the Zimbabwe military. Zimbabwe's military and Anhui province have a strong relationship organized largely around greed and opportunism: Zimbabwe's military leaders have partnered with Chinese construction companies, mining firms, and farming companies from Anhui Province (the latter as I discussed in my latest book: Will Africa Feed China?). Multiple stakeholders in China complicate China's economic statecraft. I do not know the extent of personal ties among the Anhui Province companies and the new leadership in Zimbabwe, but I expect that they are likely to be quite good. This "mutually beneficial relationship" would be an interesting angle to investigate further. How will ordinary Chinese investment be affected by Mugabe's resignation? Probably not at all. As we wrote here in 2014, Chinese companies have also been affected by Zimbabwe's indigenization law which requires 51% of large investments to be locally owned. (See also a great 2016 analysis on this by Yun Sun.) There isn't any indication yet that Zimbabwe will reverse this legislation. With appreciation to CARI's Jyhjong Hwang for her contributions to this analysis. This guest post is by Jyhjong Hwang, the Senior Research Assistant at the China-Africa Research Initiative at Johns Hopkins SAIS. This is the story of how five Chinese-financed coal power stations in Africa became 50. "China is worsening the climate crisis with its financing elsewhere as well. From 2000 to 2015 China extended $94.4 billion in loans to Africa, fueling extractive industries like oil, minerals and timber; the expansion roads [sic] and ports to get those raw materials to market; and dirty energy like large dams and power plants. Beijing is building and financing some 50 new coal plants across Africa." (Emphasis added). China-Africa Research Initiative (CARI) has a bone to pick with just about every sentence of this paragraph. While we are glad that our data is being utilized, we would like to set the record straight regarding the nature of these loans – and in particular, the nature of Chinese involvement in African coal stations. We show below how data and information get distorted as they are passed from source to source, rephrased, paraphrased, and taken out of context. 1. Do Chinese loans go to “fueling extractive industries like oil, minerals, and timber”? * Chiefly low-cost social housing and stadiums. Source: China-Africa Research Initiative, 2017. Mining (oil and minerals combined) constituted only 9.6% of all Chinese loans in Africa. And we could not identify even one loan-financed timber project. The impression that Chinese loans are primarily given to foster extractive industries like oil, minerals, and timber is not borne out by our data. 2. Do Chinese loans finance “roads and ports to get those raw materials to market”? Well… the Chinese do finance a lot of transport projects. Roughly 32% of all Chinese loans went to the transportation sector. However, many of these projects have more to do with Africa’s own infrastructure deficits and little to do with natural resource exports. For example, land-locked Ethiopia, with almost no oil, minerals, or timber to export, borrowed billions to build a freight and passenger railroad from its capital, Addis Ababa, to a harbor in the neighboring country of Djibouti. Ethiopia will be using this infrastructure to export manufactured goods and to import fossil fuel from the global markets. At least 17 countries have borrowed to build or renovate airports. Assuming that all Chinese-financed transportation projects are geared toward China’s needs for raw materials is a gross simplification. As the Ethiopia case shows, complex factors related to global and domestic trade, urbanization, population density and distribution, and local politics all shape decisions around road and port construction – not just the presence of resource commodities. 3. Is “Beijing […] building and financing some 50 new coal plants across Africa"? No, and not even close – but let’s first clear up some definitions to understand what we mean. As we will further explain below, there are currently only five coal-power complexes in Africa that have received any confirmed Chinese financing. The misunderstanding here lies in a point of confusion over terminology when discussing coal power stations, leading readers to infer that 50 new complexes are rising from the ground thanks to Chinese money. However, this is absolutely false, as one must distinguish between “units” and “stations”: individual coal power stations usually have multiple generating units (i.e. individual turbines and generators). For example, the Morupule B Power Station in Botswana has four units, each generating 150 MW. Therefore, "100 coal-generating units" will always mean fewer than 100 coal power stations. To further complicate matters, the commonly-used term “plant”, when referring to coal power production, varies in definition: while in layman’s day-to-day discussion, "power plants" and "power stations" are often understood to be the same thing (this is the definition used in the NYT op-ed), other sources (such as the research project CoalSwarm) use "plants" as synonymous with "units", while referring to entire (often multi-unit) complexes as "stations". For clarity’s sake, we will avoid using the word “plant” in this post, and will opt to use the terms “unit” and “station” instead. For their NYT op-ed, Garzon and Salazar-López, appearing to have mistakenly assumed that each coal generating unit is one power station, took the phrases "roughly half" and "100 coal-generating units" and came up with the number 50. "42.2 GW of capacity under development on the continent (excluding South Africa) [...] About half of the proposed capacity (21.5 GW) is being supported by Chinese finance [...] totaling 47 units (there are often several units, or plants, within a power station)." (Emphasis added). CoalSwarm did mean that half of the proposed capacity is Chinese-financed-- not half of the units (or for that matter half of the stations). As noted above, “units” are not standardized in terms of their electricity production capacity (gigawatts)-- it cannot be assumed that half of one is equal to half of the other, as we could for instance be looking at fewer units, but with a much higher output capacity. CoalSwarm’s specific terminology choices appear to have been lost in the National Geographic article, which uses "plants" and "stations" interchangeably. As a result, this practice was carried forward in the NYT op-ed, where no mention of "units" was made, and "plants" are used to refer to entire complexes. While CoalSwarm does report 47 units with potential Chinese financing, there is no way for readers to understand this merely from the NYT op-ed. To firmly establish the exact number of coal power stations involved in this discussion, CARI reached out to Dr. Shearer of CoalSwarm, who kindly provided us with their unpublished granular data. CoalSwarm has actually been able to find 17 projects (totaling 47 coal-fired generating units) with Chinese involvement, with the caveat that these 17 "projects are at various stages - China institutions are either actively financing or discussing financing the plants." Thus, 17 is not even the total number of Chinese-financed coal power stations, but an aggregate of coal power stations that have secured Chinese finance, or are in the process of negotiating for it. Then, excluding projects with financing still under discussion, how many of these projected 17 coal power stations, with a combined capacity of 7.265 GW, actually secured Chinese financing? Below is the full list of confirmed Chinese-financed coal power stations: from 2000 to 2017, we could only find five such projects. Throughout this whole “telephone game”, from the CoalSwarm data through the National Geographic article and ending with the NYT op-ed, the original data was misinterpreted and distorted, leading the actual figures – five confirmed Chinese-financed projects – to balloon into 50. Such distortions unfortunately reinforce false perceptions and skew the debate, while the data often does not support these assumptions. Terminology and definitions have their importance when discussing technical issues. Knowing that the public is at times confronted with misleading information, we must strive more than ever to ensure that data on such sensitive issues is correctly compiled, analyzed, and circulated. A consortium of private Kenyan businesses that won the BOOT contract for the power plant. South African state power company. A joint-venture between the Zambian government and a Singaporean company. Bank of China, a commercial bank with its headquarters in Hong Kong. Distinct from the People's Bank of China, which is the country’s central bank.